For the first three days of the week the Asian markets lost 0.7%, and the European markets gained 0.7%. The SPX started the week at 2665. After a gap down opening on Monday the SPX hit 2624 and then started to rally. Tuesday had a flat opening and the market finished at SPX 2640. Wednesday had a gap up opening, and the SPX hit 2690, a new high for the uptrend, before closing at 2681. The short term chart we offered over the weekend continues to squiggle along. We’re accepting the SPX 2672 level as a small fifth wave failure, as the DOW made a new high that day, and the market sold off afterwards on Monday. At SPX 2624 it completed a small 4th wave ‘iv’ and now has rallied to a new high at SPX 2690 for a small ‘v’. It currently looks like the market needs a pullback, and then another new high to complete the third wave up from the SPX 2347 low. Then a sizable pullback for wave 4, should lead to one more new high to end the uptrend. Short term support is at the 2656 and 2632 pivots, with resistance at the 2731 and 2780 pivots. Short term momentum hit quite overbought at today’s high. Best to your trading! Updated Silver count; I should have gone back and changed the subwaves to roman numerals but I was too lazy. And, Yes, Phil I shorted silver. Retraces in silver have been very deep but with this impulsive move up, it remains to be seen whether or not that continues into this new year. There are 5 micro waves down following the ‘B’ wave which could be either a wave 1 of ‘C’ or an ‘A’ wave. Taking no chances I got out of shorts late Friday until I see how it behaves from here. 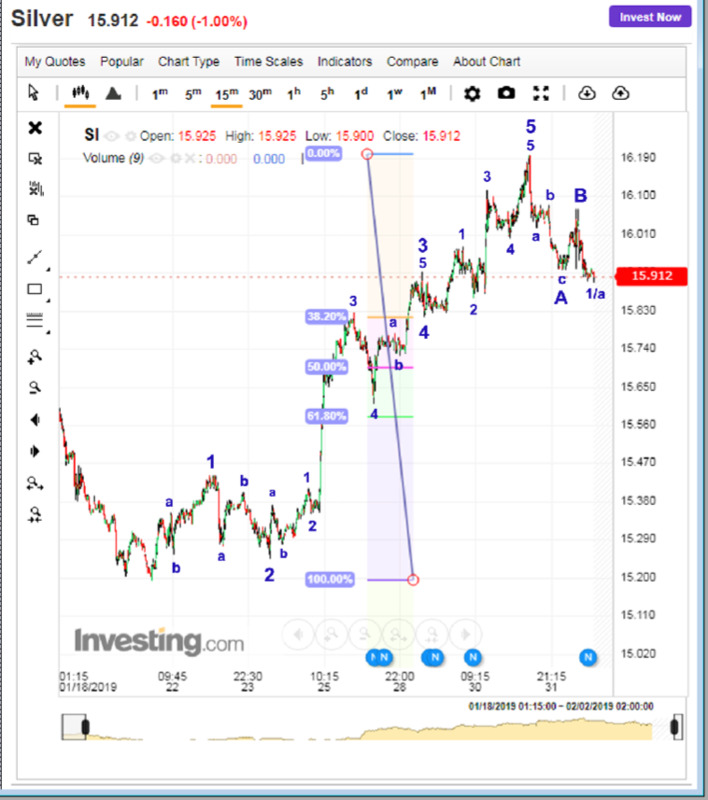 PS I hate the ‘abc’ 5th waves we’ve been seeing a lot of. In this case it’s the wave 5 of 3. But, after awhile you have to look at the count and say, “Yep, that’s what it is.”. Rick see my silver chart on “Weekend update”. I’ve got 11 up from 2624 so maybe one more HH to make 13. Wave 2 was 20 (2651/31) and wave 12 just dropped 20 from 2727 so those match up. Anything >= 22 (orange 2) could be orange 4. Greater than 62 (red 4) could be green 4 but greater than 70 (2468/2398) would be better confirmation. Qqq going back to retest the breakout around 166 before another leg up? 1. about deleting the nano degree gray . 2. moving the orange micro degree waves to the gray 1 and 2. 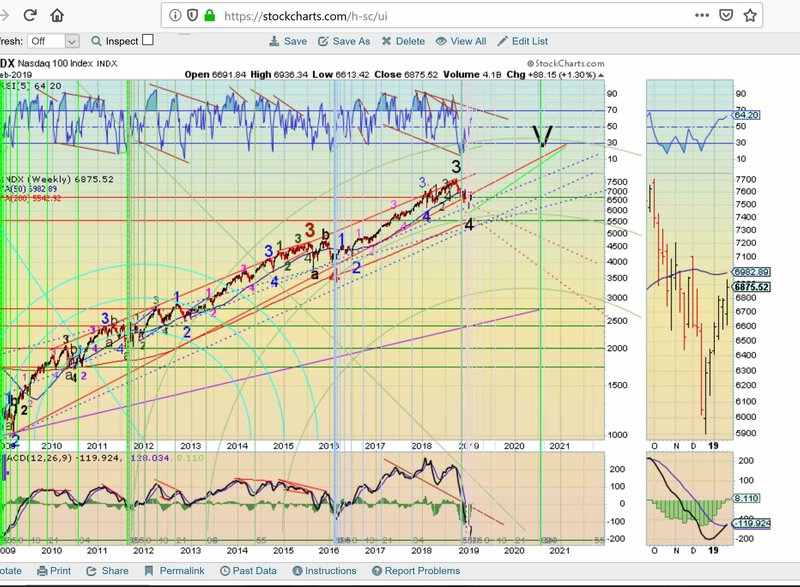 3. therefore, SPX is trading in orange micro wave 5 of minute wave iii. Seems to fit better, as in not forced. Looks cleaner, especially the orange micro 1 and 2 waves with wave 2 having a cleaner zig-zag. Micro wave 4 could be a triangle…alternation? Wave count doesn’t seem to violate any rules that I know of but I am not the expert, you guys are. deleting the nano degree gray waves…. Five waves up to the .618 retracement with negative divergence on good news. Well, here it is bears. Theoretically, this should be a lay up. Let’s see what you got. You must not watch a lot of college basketball. You would be amazed how many lay ups the miss or even slam dunks. have a nice weekend Mary. We head higher monday. I am anxiously awaiting the next big bet. the next steep drop will catch everyone off guard. we have extended to the upper limits in my mind. Earnings is about over, good external news also about over. I will (once again) try to front run the drop. I anticipate a steep drop so even if I get it wrong I can take the losses in anticipation of the final result. It worked these last 3 months very well. If however we stay in this malaise all traders gets screwed. February should be the most explosive moth yet. If that turns out to be wrong than I will most likely conclude the bear is dead. Best scenario is a drop accelerating after February 5th. Next top will catch some attention, look no further than China. Not saying I am right, but I could be 🙂 Happy weekend Gary. The silence today is deafening. I take it the talks didn’t exactly get resolved. Fool me once… but fool me 125 times? Weekend wonder. Either all the indices that are way extended spike Monday or they start deflating. Right at close I caught the HUGE rise for my placement of Puts. Will this work? No clue other than everything seems extended and the inability to break over 2720 on the great news of trade and employment suggests exhaustion. How do we reconcile no rate hikes if the bulls think the economy is doing fine? Add to that the HUGE employment numbers these last few months. Housing dropped like a stone with these types of job creation? Are they all hired to watch the borders with a whistle? Tony does NASDAQ have 7 waves up now and does that remove a checkmark for the bull case? last week you said we had 5 waves up and now there is a higher high doesn’t make 7? Or did the quantification of the waves change?